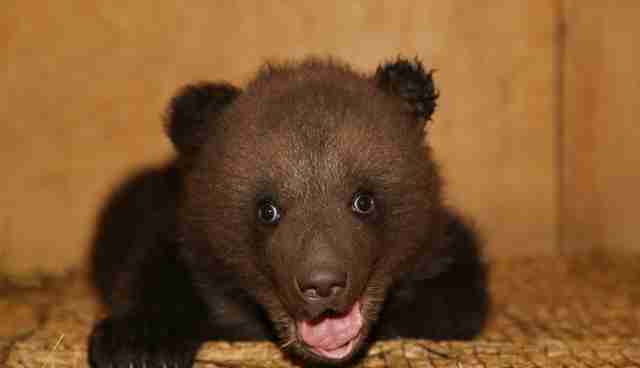 In Russia, rescuers have been physically reaching into bear dens to save cubs they hear whining and crying - five babies in all have recently been rescued in separate incidents across the country. And they are tiny. 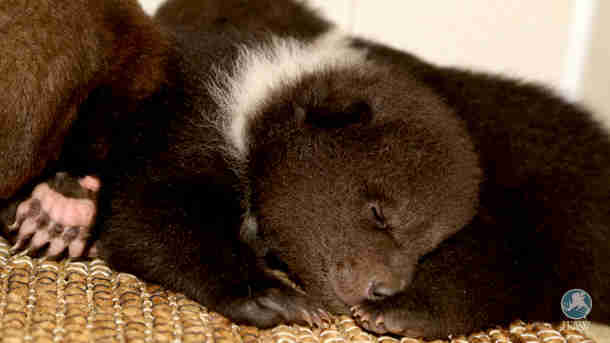 Bears use small caves or dig small holes to create dens in which to hibernate. 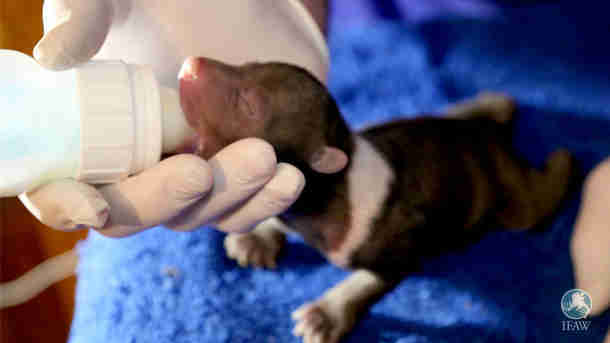 Likely abandoned by their mothers for various reasons, these newborn cubs, weighing only ounces, would have frozen to death in their dens had rescuers not intervened. The rescuers contacted the International Fund for Animal Welfare (IFAW) Orphan Bears Rescue Centre (OBRC) in the Tver forest region of Russia for help. "We have saved over 200 bears in the Tver region in Russia ever since 1997," Shawna Moos, director of communications at IFAW, told The Dodo. Before IFAW stepped in, the project was run by Valentin and Svetlana Pazhetnov. Valentin is a former hunter in Russia who had an epiphany one day about the animals he was hunting and wanted to rescue them instead. "[The Pazhetnovs] were doing some work that was government supported, and then they didn't have funds to support efforts anymore, and that's when IFAW came in," Gail A'Brunzo, wildlife rescue manager at IFAW, told The Dodo. 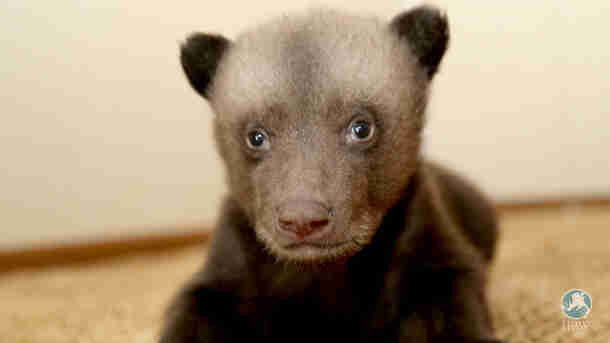 Mike, the only male of the five rescued cubs and the largest, arrived first. Born in the Tver region in December, Mike can be easily recognized by his size and a large white collar. Cleopa arrived second, from the Kirov region. She weighed about 3 pounds, according to A'Brunzo. She had health concerns at first but is now well and plays with the others. Zoya and Zosya are presumably littermates from the Pskov region. 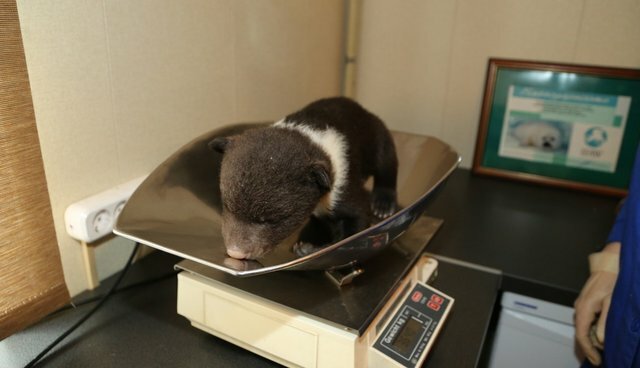 Approximately 40 days old, upon arrival at the center they weighed about 5 and 5.5 pounds respectively. Masha arrived last from Karelia when she was just approximately 40 to 45 days old. 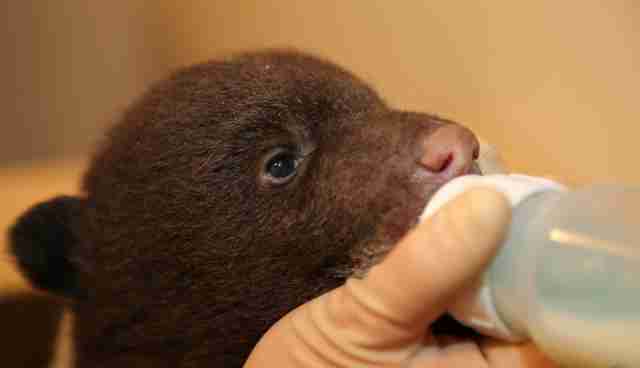 "At first, all the bear cubs were bottle-fed six to eight times a day and then gradually diminished to four times a day as they got older," A'Brunzo said. They have tripled in weight on this regimen. 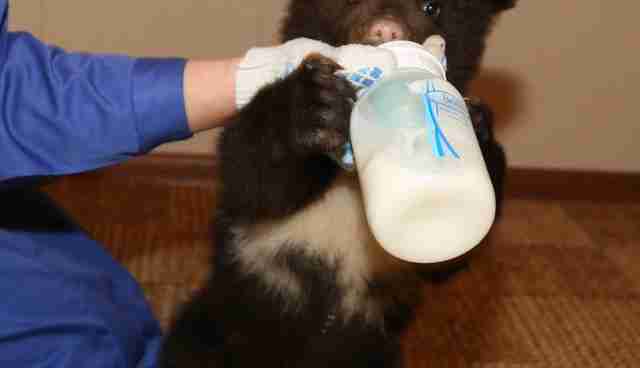 The cubs are now going through the rehabilitation process before being released. In the spring, when they are large enough, the bears will be brought to an outside enclosure as a group. Here they will learn to forage for food, climb trees and, basically, act like wild bears. "When they are big enough and the food source is great enough in the wild, they are taken back usually to where they were first found and then released back into the wild," A'Brunzo said. 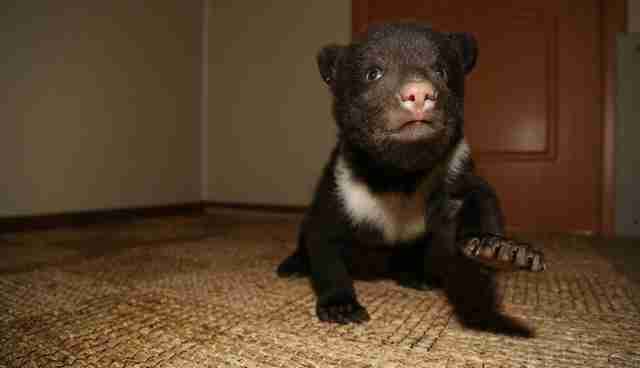 "They need companionship at this age although [they will be] solitary in the wild as adults," A'Brunzo said. "We don't want them habituated to people," she added. "The aim is to have them act like a wild bear." While the bears are released into some areas near human settlements, the rehab center makes sure to raise the cubs so they stay away from humans. "One thing IFAW strives to do is to share the knowledge and the experience," A'Brunzo said. "The Pazhetnovs have gone to places around the world to share their expertise. We are taking the success that this bear project has had and sharing it across internationally so that there are good outcomes for bears worldwide." You can help IFAW help animals by donating here.